When the main sounds heard are the sounds of keystrokes and televisions, rather than the sound of each other’s voices, each other’s laughter. It’s time to unplug. Too many screens, not enough personal interaction. Too much worrying about what everyone else is doing, what everyone else is thinking and what everyone else is posting… not enough time spent worrying about what each other is doing and what each other is thinking. It’s time to unplug. Who can I prove wrong, who can I argue with. Who can I let frustrate and irritate me, needlessly – through the screen. It’s time to unplug. To sit on the same couch, laptops in hand, mouths closed, voices silent. More conversations and interactions with people on the other side of the screen than together with each other. Like, dislike, post, share, comment. It’s time to unplug. Doing your own thing, stuck in your own heads, staring at your own screens… has turned into the norm. social media, research, games, work, writing. Solitarily social. Growing afraid to talk, to say, to ask. Irritations increase, understanding and patience decreases. Frustrations arise where they didn’t used to be. It’s time to unplug. Why has it become hard to turn off, to unplug. How do you go back to how it was before, when you came home and talked about your days, planned your future days, talked, laughed and enjoyed each other more…. More than the screen. The screen that has become a danger, to your relationship, to your interpersonal interactions. The things that used to be so important just don’t seem as important anymore. 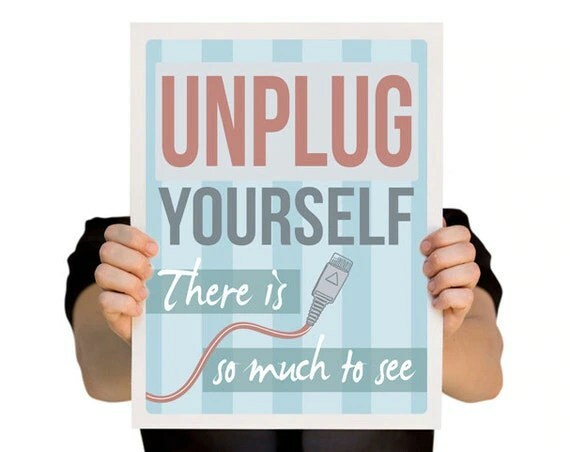 It’s time to unplug.